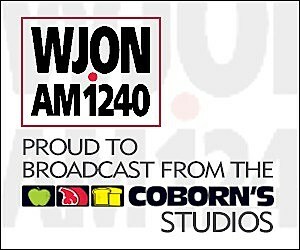 Here's the latest Central Minnesota news with the WJON Flash Briefing. The numbers are in from Big Brothers Big Sisters of Central Minnesota's biggest annual fundraiser. Grand Champion Meats is moving their retail location from the downtown store to the former "Other Bar and Grill" site near the intersection of Highway 23 and Highway 25. A fresh new string of lights is a symbol for a bright future in downtown St. Cloud. A group of business owners and community members gathered on 5th Avenue Wednesday to celebrate the addition of the decorative festoon lights that are being installed. Classes at the University of St. Thomas in St. Paul have been canceled after a bomb threat forced the evacuation of students, staff and even babies who were rolled out of an on-campus day care center in their cribs. The Huskies will open the conference schedule on Friday, November 15th against Colorado College at the Herb Brooks National Hockey Center. Fire crews responded to a shed fire in Sauk Centre Tuesday morning. An Australian woman is traveling the globe to see how other countries and communities are building a welcoming community for refugees. The Cathedral baseball team topped Becker 4-3 Tuesday night in Becker. The Crusaders improve to 4-0 on the season with the win.